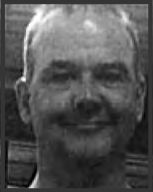 >> Marty Rathbun: A former external affairs officer, removed from authority within the Church of Scientology eight years ago for gross malfeasance. His mug shot is courtesy of the New Orleans Police who supplied it after Rathbun was arrested for public drunkenness and disorderly conduct on July 10, 2010. Rathbun has previously admitted to obstruction of justice, suborning perjury and, for good measure, assault. The latter was inflicted on his now “best good buddy” and fellow apostate Mike Rinder who he nearly killed with his bare hands. It took five grown men to pry him off Rinder. And Rathbun is quick to confess his crimes, as in admitting to the obstruction of justice in a protracted legal case to an interviewer from a regional tabloid. Rathbun admitted to destroying evidence and coaching witnesses to lie to authorities. During the interview, Rathbun implicated fellow apostate Tom DeVocht in the same crime. All of it conveniently copped to after the statute of limitations had run out and none of it revealed to Church officials until his online revelation.